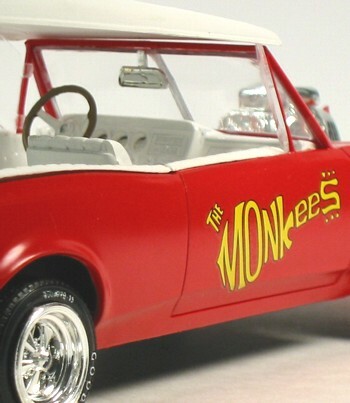 This is the 2002 reissue of the AMT Monkeemobile. As a kid, this was one of my favorite TV cars. 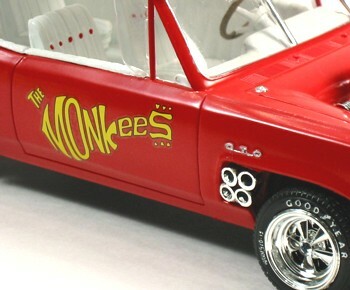 I was a huge fan of the Monkees. The body was painted with Testors guards red. 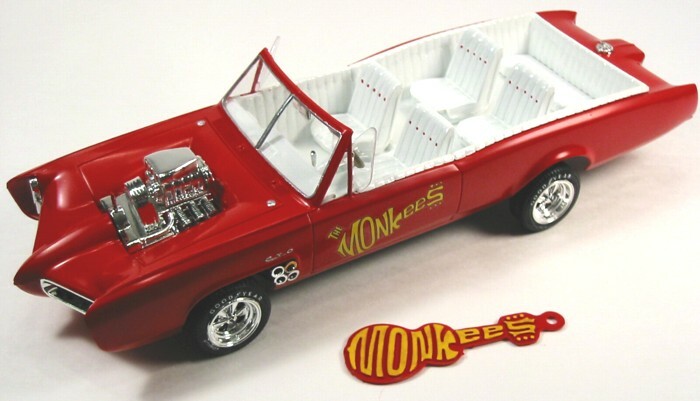 The convertible top is painted flat white and the interior is gloss white with red accents. Aside from painting other details, this was a pretty straightforward build.